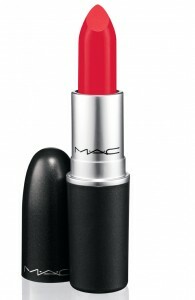 Orange is a big nail and lip trend for spring and Iris Apfel for Mac’s Scarlet Ibis is the “it” color. We spotted it at Jason Wu’s spring runway show and will be available this spring. Annual color palette pickers Pantone Colors named Tangerine Tango the shade for spring 2012, so try out this citrus shade on your lips when you’re in the mood for something bold. It looks phenomenal on fair skin, which is an impressive feat for a warm tone.